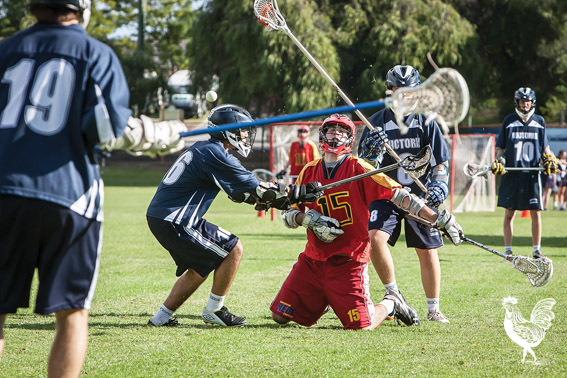 THE lacrosse under-18s national championships are on at humble Halliday Park this week. A neighbourhood snoop called the Voice to say the local club had been out painting the field markings last Sunday. Trouble is, Bayswater city council mows the park behind the Bayswater hotel twice a week and next day the painstaking linework ended up in the mower bin with the clippings. Our scout reports the club headed back to repaint the lines. Bayswater lacrosse club’s diplomatic president Glenn Morley assures the Voice all is fine. “The council’s actually been great,” he says. Ten teams across Australia have gathered for the 28-game tournament, which wraps up today, Saturday, April 27, 2013.